The camp will as usual be hosted by the Freeport Rugby and Football Club at their fields on East Settlers Way, Freeport. Many local soccer-playing kids are very familiar with the venue since the club runs boys’ youth soccer on Wednesdays from 5:00-6:30 p.m. and Saturdays from 11:30-1:00 p.m. The daily sessions will begin at 9 a.m. and finish at 3 p.m. with lunch provided, along with chance to take a cooling mid-day dip in the club’s swimming pool. 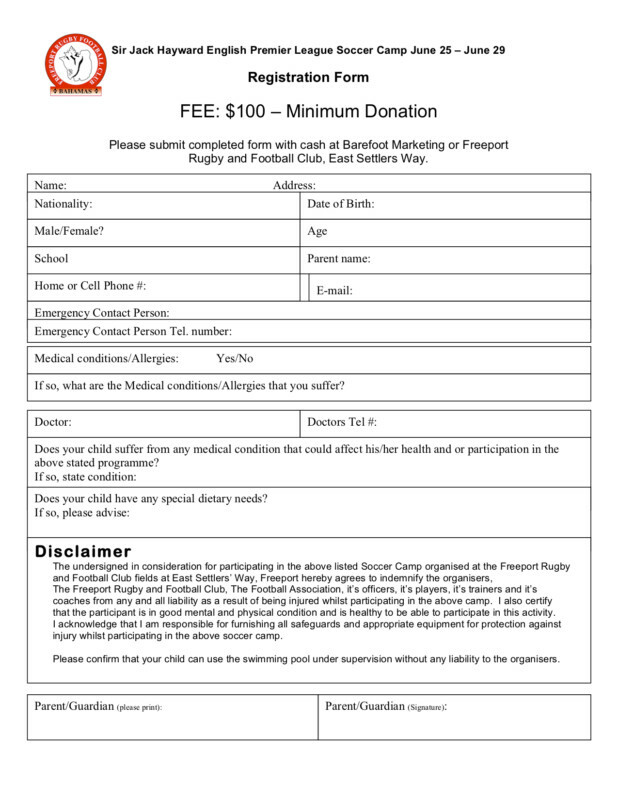 Please hand in completed form with cash at Barefoot Marketing or Freeport Rugby Football Club, East Settlers Way. The Club usually runs 3 teams in the adults’ Grand Bahama Football League; two men’s teams (Freeport FC and Brita Red Bulls – our Youth team) and one women’s teams (Freeport Jetwash). 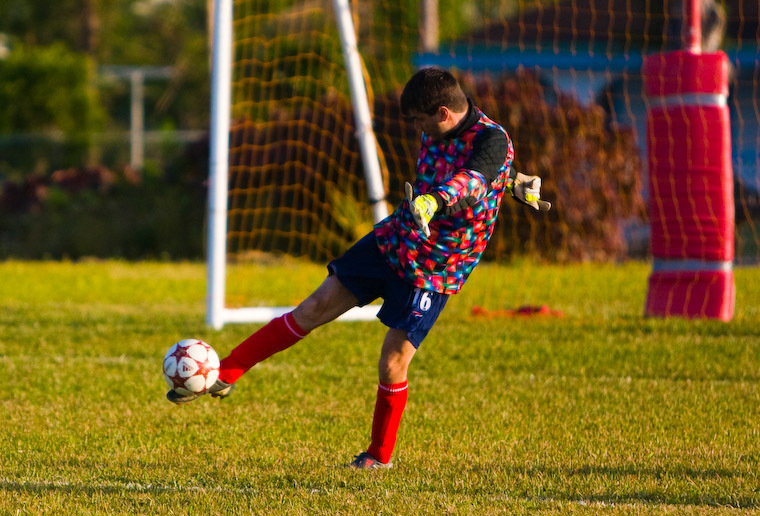 Both Men’s soccer teams practice on Mondays and Wednesdays from 6.30pm. Ladies soccer is currently taking a hiatus ! 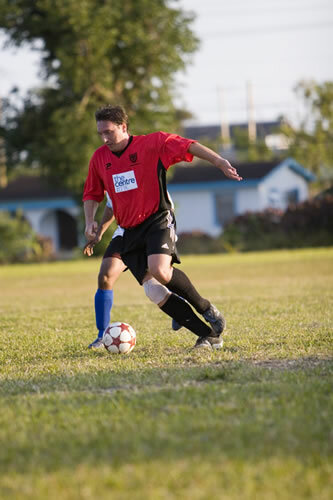 The men’s soccer team under its various guises (of Cambridge, Campari, Pub on the Mall Red Dogs, Paint Fair Corona, Stella Athletic , Freeport Football Club and Brita Red Bulls) has won the Grand Bahama League title 5 times, the local cup 3 times and numerous 5 aside and 7 aside tournaments. In addition, it is still the only Grand Bahamian team to have ever won the Bahamas National Title (defeating JS Johnson by 3 goals to nil in 1996 to win an unprecedented treble). Anyone interested in playing is either welcome either simply to train (Mondays and Wednesdays 6.30pm to 8.30pm) or play in competitive or less serious surroundings. In addition, friendly (more social ) games are organized against local hotels and visiting ship crews from vessels in Dry Dock at the local shipyard. It goes without saying that we welcome visiting teams to our Club and shores to partake in some soccer and social interaction. This is at all levels, youth, all age, senior, mens, womens, co-ed ! You want it we’ll do it. For our more experienced players (be they seasoned campaigners, old war horses or simply old farts) we continually look to put together an Over 35s team which both host teams but also carry their fearsome reputation to foreign lands. Regular games are played against Florida teams in the Florida Annual Cup. We have even traveled to Brazil for a friendly (yes we are that desperate for games) however the opposition had to cancel at the 11th hour as they could not get a full team-–a pity they could not of told us before we got on the plane! Copyright 2018 FRFC. All rights reserved. Site by Bahamas 2000..